When I first knew Wellington’s Miramar, way back in the 1980s, it was a sleepy suburb. Miramar was a place where ordinary kiwi families lived, down on the flat enjoying sunny, sheltered pohutukawa-lined streets, or up in the hills drinking in the million dollar sea views which inspired that fanciful Spanish name. In the back streets, a bit of light industry whirred away and on the main drag, there was a straggle of service shops, a modest mall in a disused cinema and a library. Trolley buses whirled in and out carrying kids backwards and forwards from school and their parents to and from work. If you didn’t live or work in Miramar, you might well by-pass it. But not anymore! Miramar is the epi-centre of Wellywood, the engine room of Aotearoa New Zealand’s film industry and the heart of the Middle Earth Empire. The giant complex where Peter Jackson, Richard Taylor and Jamie Selkirk brought Lord of the Rings and the Hobbit to life dominates the old industrial area of Miramar. The site of the former National Film Unit in Park Road is Park Road Post, a state of the art post production studio. Eight acres of Stone Street are given over to the Stone Street sound studios. Just nearby, in Camperdown Road, there’s Weta Digital and in Manuka Street, is Weta Workshop, where all those magical special effects, masks and props are dreamed up and realised. It’s worthwhile taking a cruise around Park Road, Stone Street, Camperdown Road and Manuka Street to check the sheer scale of it all. Perhaps you’ll catch a glimpse of a distant set, a star or one of the big three. As Wellywood’s reach now extends across the globe, you might even spot some international movie mogul. For dedicated LOTR and Hobbit fans, though, a visit to the Weta Cave in Weka Street is an absolute imperative. The Cave, which is really a museum, backs onto the Weta Workshop, so you can see the team at work. You’ll hear about the creative process from crew members, using props, models and weapons they made. You’ll watch a behind the scenes video, featuring interviews with the Weta Workshop founders. Finally, they’ll let you loose in the Weta Cave shop, “a cavern of creativity” with the most amazing collection of LOTR and Hobbit memorabilia. If you’re over Tolkien, but still into cinema, drop into the Roxy, if not to catch a film, then to steep yourself in movie world glamour. This Art Dec beauty first opened in 1928, as the Capitol. In the 60s it was converted into the Miramar shopping mall. 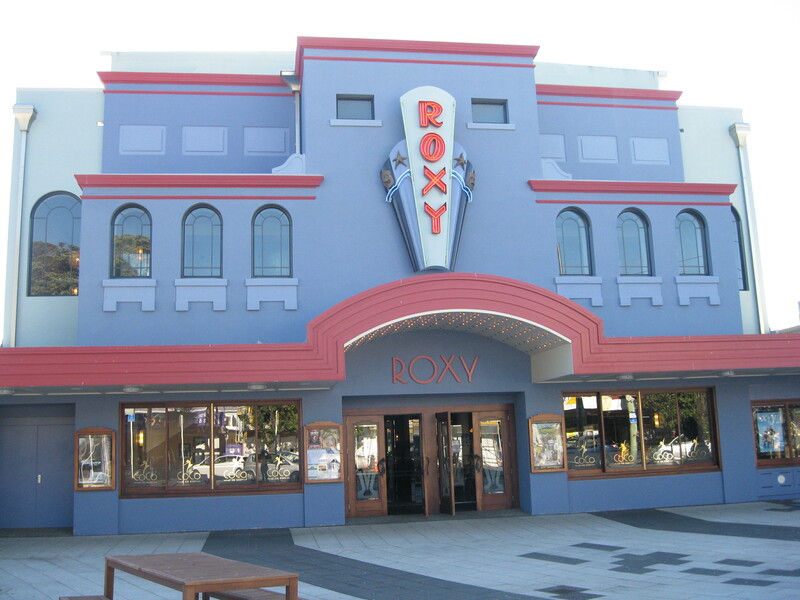 Then, in 2011, Richard Taylor and friends reinvented it as the Roxy, with two theatres and an exhibition space. 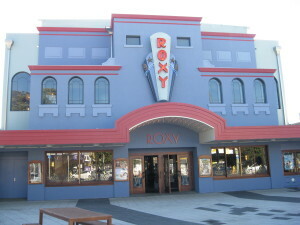 The Roxy is also home to Coco licensed restaurant and a cocktail lounge, where, after your tour of Wellywood, you might want to sink into a vintage armchair with a Tom Collins, a Pims or some other fabulously refreshing concoction.